Largest unit - there's only 3 like this in the complex, and a corner location too! Freshly painted in soft neutral tones, spotlessly clean, and ready for immediate occupancy. Views to COP from the living room balcony, (kitchen & dining windows too), and views of Bowness Park from the master bedroom balcony. This means you can enjoy the sunshine, and the quiet cool evenings. Free washer and dryer service on this floor is included in the condo fees too! You must be over 18 years old to live here though. 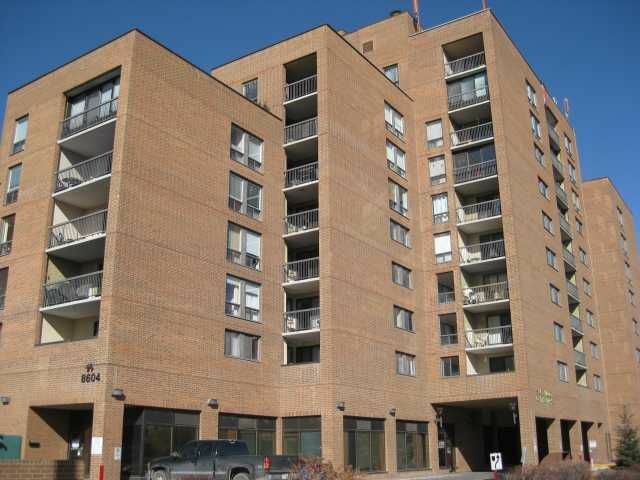 Quiet, solid, and secure with underground parking and elevator to your floor. Prime location, excellent condition, and awesome price. Click "View Brochure" on REALTOR.ca for more info, then call your favorite agent today and put this one on "the list"!